After several weeks of anticipation, Nike Sportswear has finally confirmed official details for the 25th Anniversary "Safari Pack" featuring the AM 1 and AT 1. 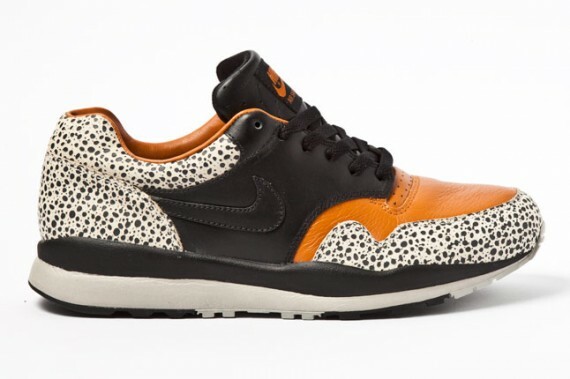 The Air Safari will make it's return in original form, featuring a combination of black, orange and the iconic Safari print covering their premium leather build. 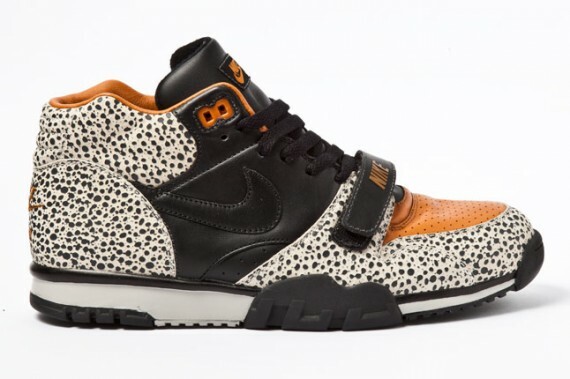 The Air Trainer 1 which also released back in '87 as part of the original "Air Pack," will also be released in A Safari-inspired color scheme. Look for the Nike Sportswear Safari Pack to release June 30th at select Nike Sportswear accounts.